Round 1 of the 2014 SAVA Tyres Bucket Nationals. 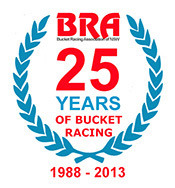 The 2014 racing season got off to a great start with some exciting and competitive racing in all bucket classes. With temperatures in the high 30’s the Motolites got the action started. 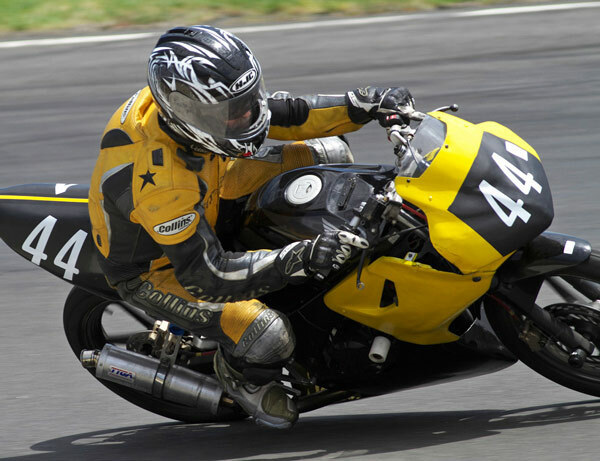 Jason Dunn (Honda RS85CR) continued where he left off last year setting pole in qualifying and winning all three races. It was left to Dan May (Honda RS85CR), Steve Kairl (Supermono197), Anthony Marsden (Sculley Honda RS85CR) and Tyler Bradford (Big Bang Engines Honda RS150CRFr) to fight for the rest of the podium positions. 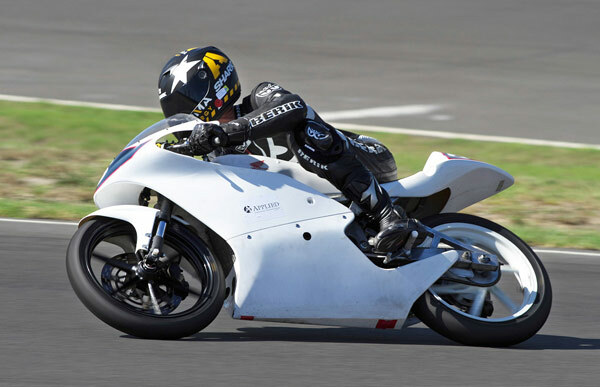 This made for some exciting racing with Dan May finishing 2nd and Steve Kairl 3rd on the incredible Australian Supermono197 in 3rd place against the exotic GP RS bikes. Tyler Bradford (making a welcome return to Motolites) got quicker as he got back into the swing of things and finished a fine 4th. 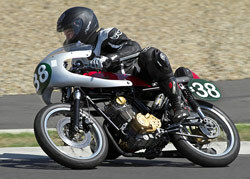 followed by Anthony Marsden(Sculley Honda RS85CR) and Damien Coppola (Big Bang Engines Honda RS150CRFr). Another rider getting off to a good start to 2014 #38 Walter Murphy (Big Bang Engine Honda CB150) took up where he left off in 2013, setting pole in qualifying and winning all 3 races. 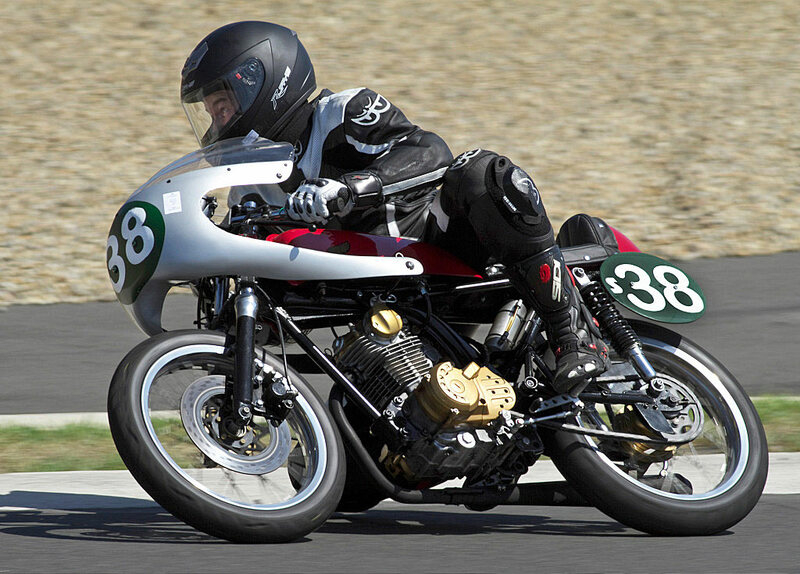 He did have to work for it though as Ken Lindsay (on his newly revamped Honda RCB150) John Olip (Suzuki111) and Anthony Marsden (Honda H100) all had a shot at leading. However once Walter hit the front he proved difficult to pass and ran out the winner. Anthony retired with rear wheel problems and the Kings bike suffered some problems but riding on the limit he finished 2nd overall with John coming in a fine 3rd. 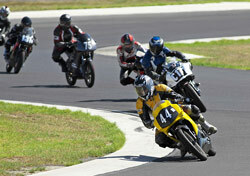 Glenn Tisdell (Suzuki150) raced into 2nd place in the final race to finish 4th overall ahead of Jim Murphy. Happy 50th Birthday to Fred Holland. Only two races were run for the Commuterlites due to running out of time. Mark Strong (Honda CBR125) dominated both races but a gigantic battle for 2nd place ensued behind between eventual 2nd place finisher Ron Mayo Pulido (Honda CBR125) and 3rd. place finisher Arthur Cook (Honda CBR125) These 2 swapped places continuously and tied on points with Ron getting 2nd as he was the higher placed in the final race. 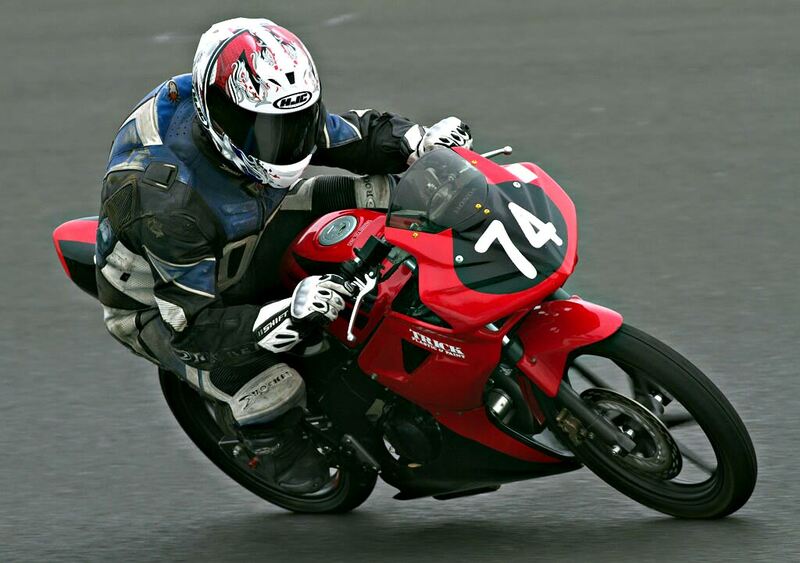 Damien Coppola (Honda CBR125) came home a fine 4th. 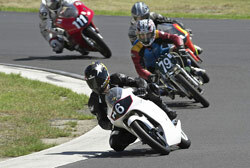 with Rez Pulido (Honda CBR125) and Robert Tisdell on the lone (Yamaha YFZR125) battling for 5th. and 6th. with 5th place going to Rez. 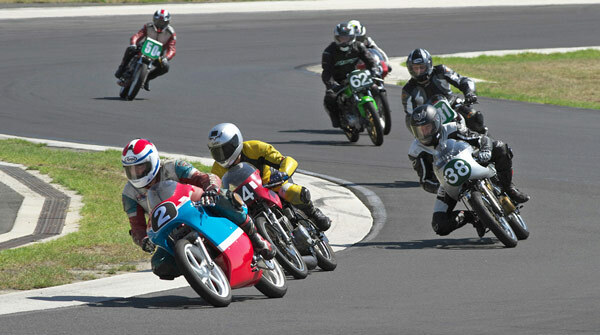 #2 King Kenny (Honda RCB150) leads #94 John Olip (Suzuki111) and #38 Walter Murphy (Big Bang Engines Honda CB150) in a tightly contested Superlite Race. Jason Dunn was uncatchable on the day. 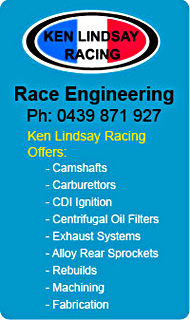 Nice warm for the PCRA BRA Championship. 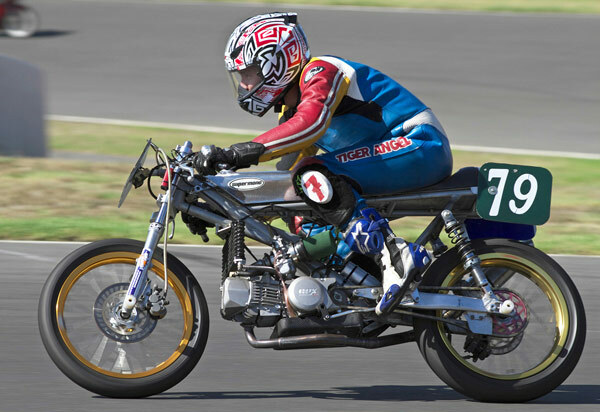 #79 Stephen Kairl is continuing to develop the Australian Supermono 197 with Big Bang Engines Guru Garry Briggs and the bikes creator Nigel Begg. 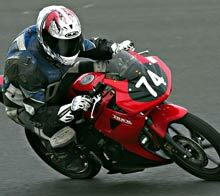 The bike got quicker with each race and finished in a fantastic 3rd Place. #44 Mark Strong made his trip to Sydney worthwhile by dominating the Commuterlite Class.